Hi, what is this memory foam made of? Hi, Joe! Memory Foam is a type of foam plastic material that provides excellent support and comfort. It’s best known for its use in mattresses and in Memory Foam insole shoes. I’m 75 with bad arthritis and I AS faceing a Hip replacement. It was too painfull for me to ealk much anymore until I bought a pai of Go-Walk 3. Well,,for me it was a miricle. They restired my ability to walk. Now I wave a new Hip and the Sketchers are even better. Really,Istill really cant walk from Arthritis pain unless I’m wearing them. The reduce my pain level from 10 down to 3. However,,they are staring to smell. I hope Sketchers deals with that problem and soon. NeverthelessI plan to buy and wear them always. To me they are a miricle shoe.Being a pensioner I cant afford to buy a new pair right now or I would. Can the inner sole be removed? My husband has orthodics to put in the shoe. I am allergic to latex. Is there any latex in the memory foam? My feet sweat when I wear my Skechers w/memory foam. How do I keep my shoes from smelling. I bought the sketchers with memory foam for my daughter… and her feet sweat in them. The memory foam really smells and I can’t get the smell out…… very pricey shoe for this to happen when you say it helps prevent odors. I bought her a pair of BOB’s with memory foam and no problem what so ever. ???? Most non-leather casual shoes can be safely machine washed on the gentle cycle and air-dried. Do not place shoes in dryer. For shoes with Skechers Memory Foam™ insoles, allow shoes and insoles to air dry for 10 to 12 hours to ensure the insoles are fully dry. Get memory foam “gel infused”, that’s how you might be able to keep your feet from smelling. I loved my Skechers w/memory foam, but I have never had a pair of shoes to become smelly like these shoes. I’ve washed them several times and allowed them to air dry; I’ve sprayed them with fabric sprays; and I have even put them in the freezer (someone told me to try it), but nothing has worked. I regret not being able to purchase another pair for fear it will happen again. They are still in good condition, but the smell is unbearable. Hello Terri, can you please email us at socialmedia@skechers.com so we can put you in touch with our customer service team? Thank you! I wonder if Sketchers read all the online comments of the dispairing Go Walk owners whose shoes have become unbearably stinky. I have two pairs and, like all the others, have tried everything- freezing, cornstarch, baking soda, sun, cleaning with LYsol, etc. etc. and NOTHING WORKS. Someone suggested a recall it is so bad. Sorry to hear that about your shoes! We have some protecting and washing tips on our blog https://blog.skechers.com/2011/02/05/shoe-cleaning-and-care-tips-from-the-skechers-shoe-guy/ Hopefully these help! You can also email socialmedia@skechers.com and customer service will be able to assist you. Hi Alex, sorry to hear you are having issues with odor! Have you tried using baking soda or activated charcoal solution to remove the odor-causing agents? Machine washing with odor-absorbing detergents, combined with an odor absorbing treatment when air-drying may also work. When air-drying, usually wait 10-12 hours to make sure the memory foam is completely dry. I just want to know if I can wash my skechers in a delicate warm cycle and let them air dry? I read some of the other comments, my skechers do not smell. Hi Sylvia, we recommend washing on the gentle cycle cold, placing both shoes in a laundry bag or pillowcase, and air drying only. i LOVE my memory foam and all my skechers and I have never had a problem with the “stink” that some complain of. I do wash my sneakers an air dry them from time to time. How can anyone expect that something that they wear and sweat in while exercising never needs cleaning? Would you wear underwear for weeks on end withot washing it? A little maintenance is a small price to pay for the additional comfort. Hi Shirley, we do not currently carry replacement insoles at this time. I would also like to purchase replacement liners that are memory foam. Skechers, if you offered replacement insoles, I’d wear them in ALL of my shoes. Most of my shoes are Skechers, but the ones that aren’t are in dire need of some awesome insoles. Dr. Scholl’s needs some better competition, and the other ones sold in store just aren’t good enough! Hi Ella, thank you for your feedback 🙂 We will pass your message on to our production team! Can I machine wash these? Hi Tahnya, we recommend hang washing with a wash cloth and air drying or washing on a gentle cycle and then air drying 🙂 It can depend on the fabric so we would recommend looking at our blog on how to wash our shoes 🙂 have a great week! I recently purchased a pair of memeory foam slip on sketchers. I wore them for about four hours. When I took them off I had a bruise on the top of my right foot. On my left foot there was a bruise on top of my foot and a blister. I’ve been trying to find out how to sue Sketchers. Hi Gwendolyn, Sorry to hear about this situation. In the event you’re unable to return the item to the place of purchase, please email detailed information to customersocial@skechers.com so that we can connect you with a customer service specialist who may further assist you. Thanks! Do you sell memory foam foot insoles separately? Hi Samer, We’re sorry for the inconvenience; however. we do not sell or stock replacement insoles at this time. Our shoes fit most standard insoles you can find at your local merchants, such as sporting goods or retail stores that carry shoe accessories. Memory Foam shoes are now available at Skechers Retail stores, Skechers.com and your favorite shoe stores. To see all of the shoes that feature Memory Foam insoles for comfort, check out the ‘Memory Foam’ category on skechers.com. I’ve had my memory foam shoes for about 4 months and the insides are beginning to smell and get hard. Is there a way to clean it so that they are back to the awesomeness of when I first got them? Can you wash the memory foam shoes in a washer. Can the foam get wet? Can I Die my Mory foam another color because they got stained and dity ? Yes you can. Just turned a pretty worn part of green *canvas* sketchers into much newer looking brown using 1/2 bottle of dark chocolate fabric dye. I was out walking and there was a sudden downpour and my skechers got really soaked how do I dry them is it all right to dry them out on a radiator. What do you mean by air drying. Hi! I’m interested to know if Skechers will be providing sandals with the “memory foam” type sole. The Go Run shoes are comfortable, but I would like something for the warm summer months. Where or how can I buy replacement memory foam innersoles and do you do orthotic ones?? What is the feature of skechers flex w/ memory foam? Can the shoes with memory foam be machine-washed? Or how do you recommend washing them? Mine were white when I bought them, but not now. Mostly the mesh on the front and sides looks dirty. Flex Appeal Spring Fever. They have been great for avoiding my usual heel pain (plantar fascitis). Can you wash the sketchers memory foam shoes safely in the washing machine? I have had my Memory Foam Sketchers for a couple months, they feel lumpy now under my toes, the insoles feel like they are glued in, should I wash them to see if makes them pliable again? How do I order Skechers replacement memory foam insoles?? I also need replacement insoles. Where to buy? We are sorry to hear that about your insoles Lauren, we unfortunately do not currently sell insoles. I also have shoes which are perfectly wearable but there is a hole in the heel area of the insole itself which can make it feel a bit uncomfortable especially when walking over long distances. Skechers – any chance of you starting to make replacement insoles as it sounds like there’s a good market for them. Hi Helen, although we do not currently sell insole replacements, our shoes fit any standard insoles you can find at your local merchants, such as sporting goods or retail stores, that carry shoe accessories. I have washed my shoes and insoles with no problem in washing machine. Hi, Debbie. We’re sorry for the inconvenience, however, we do not sell or stock replacement insoles at this time. Our shoes fit any standard insoles you can find at your local merchants, such as sporting goods or retail stores, that carry shoe accessories. A lot of us were wondering if you can machine wash the shoes that have memory foam. Can we get a response? Please and thank you! Most non-leather casual shoes can be safely machine washed on the gentle cycle and air-dried. Do not machine wash light-up shoes. For shoes with Skechers Memory Foam™ insoles, allow shoes and insoles to air dry for 10 to 12 hours to ensure the insoles are fully dry. Please do not put shoes or insoles in the dryer. Yes, Skechers GOrun Ultra has the most Resalyte shock absorption of any of the Skechers Performance running shoes, and a thick supportive midsole designed for running longer distances. Customers tell us it is very cushioned and supportive. I bought my wife 2 pairs of the Gray 11883 and she loves them. However, the insoles wear out in appox. 3 months because of how much she wears them. She’s tried other “memory foam” replacements but nothing compares to the ones that come with Sketchers. Is there any way for us to get insoles directly from Sketchers? Glad to hear your wife loves our Flex Appeals! Unfortunately, we do not sell insoles separately at this time. Why not tack on a few dollars and provide a second pair of insoles with shoes just like you sometimes do with shoe laces? If the insoles wear out as quickly as customers are claiming, you should have an option to purchase them separately. Thanks for your feedback! We will certainly pass on your thoughts to our production team. Thanks for your interest in Skechers! I think some of us are willing to buy some insoles!!! My husband and I are inlove with memory foam insoles! My husband loves his skechers with the memory foam inserts! My question is do you sell the inserts separately? He removes them daily from his sneakers to put in his steel toe work boots. . Thanks! Glad to hear you love them! Unfortunately, we do not sell memory foam inserts at this time. Yes, as long as they are not the leather or suede slippers. Wash on delicate cycle, put them in a laundry bag, air dry only. Please do NOT put your slippers in the dryer. Where can I buy these as replacemnt insoles? My dog chewed up my girlfriends. We’re sorry to hear that your dog chewed up your girlfriend’s insoles. Unfortunately, we do not sell insoles separately at this time. Do Memory Foam foot beds contain any latex. I’m allergic. No, the Memory Foam footbeds do not contain any latex. Thanks for your interest! Hi I love my 11892 skech-knit gel-top memory foam sneakers. I tried to buy a back up pair and bought the 12034 which had the same description but the insoles are not nearly as soft or plush and do not have the additional gel piece sewn in the heel. Is there a current shoe that has the old plush insole? 11892 is an Equalizer, so it has the standard Gel-Infused Memory Foam insole, rather than the ‘Gel Top’ model of the other shoe. The Equalizers in stock are doing that heel pad, so I could recommend looking at the Skech-Flex (12125, 12126) or Skech-Air 2.0 models (12101, 12046, 121031) which both have the pad-less Gel insoles. Is ur shoes made out of LATEX?!?! HOW ur memory foam Made out of LATEX?!! I have a server allergy to LATEX. And I love sketcher shoes. Thank u for ur help. Memory foam is not made of latex. It contains no rubber. I wear an orthotic. Can I put this in the memory foam shoes? Some customers have advised they wear the shoes with their orthotics, either by laying the orthotic on the Memory Foam insole, or by removing the Memory Foam insoles. I just bought the 11883 shoes and I was wondering if they are waterproof. If they are not, is there a specific method recommended to waterproof them? My husband has a pair of the memory foam insole shoes and they smell to high hell… How can I! Clean them at home? Nylon/Mesh Shoes: Most non-leather casual shoes can be safely machine washed on the gentle cycle and air-dried. Do not place shoes in dryer. For shoes with Skechers Memory Foam™ insoles, allow shoes and insoles to air dry for 10 to 12 hours to ensure the insoles are fully dry. Thank you for answering my question whether or not Skechers Go Run shoes are machine washable. I don’t run for exercise. Only if I have to. I have to tell you, at 56, these shoes are like rockets on my feet. I can also feel a good “pump” in my legs and glutes, just walking in them. Very comfortable and the pain in my feet is now gone. My arch is a bit high and my pain was mostly in the balls of my feet. Was. Way cool. And I was fortunate to buy these at a ridiculous clearance price. Less than $20, with tax! Needless to say, my next pair, or two, maybe three yet to buy, will be Skechers. Thank you again and keep up the great work! I love the insoles – but they have ran their life and are falling appart after about 4 months of use: I would want to buy a new set Please please please offer the insoles by themselves, I would buy multiple sets! I intend hiking a few days in Vietnam in the rainy season, I want to wear one of my many pairs of memory soled skechers, if soles get wet can I keep using them. I wont have 12 hours to dry while hiking. I can only take one pair shoes with me. And if wet will they still work as good? The skechers we have all smell and most of my family have them. I know you say there is antibacterial on them but really for the amount of people who are complaining about the smell I think Skechers really need to look at this. The number of people is also too varied which leads me to believe either the antibacterial is not good enough or there is an issue with the material. What will Skechers do to address this issue? After the first wash after every 3rd or 4th wear they need to be washed again. Thanks for your feedback! We will pass this on to our Product team to review. I have about 5 different pairs of skechers from sandals to sneakers and they all stink, I can’t even put them in my closet. It is awful for the price they cost. i need replacement insoles-uneven distribution ( result of foot surgery and knee derangement) has caused uneven pressure. Can I purchase NEW memory foam insoles for my sneaks? Thanks for your interest in Skechers! Unfortunately, we do not sell insoles separately at this time. I have purchased six pairs of memory foam shoes over the last year. I take turns wearing them to work. I love them, but they all are now uncomfortable and need new memory foam insoles. Skechers really needs to offer replacement insoles since all of my shoes still look like new. I do not want to have to buy a new pair of shoes every three months when the insoles wear out. Please address this issue as soon as possible. Including an extra pair of insoles with each pair of shoes as someone else mentioned in a comment would be an excellent idea. Thank you for your feedback! We will certainly pass this request along to our product team. I have recently bought three different type of memory foam Skecher shoes two months ago & all of them smell. I have followed your direction s & washed them all once. The smell returned after being washed only after wearing a couple times. They are incredibly comfortable but maybe skecher s should highly consider making all of there memory foam shoes with removable insoles so that washing & replacing them will be made easy! Hi I have a pair of sketches memory foam runners and the insoles came out and won’t stay in. How can I fix it? I have 4 pair of Skechers with memory foam. I love the comfort but they are the only shoes that I have problems with regarding odor. I have tried EVERYTHING…febreze, shoepourri, foot powder and sprays, washing in vinegar, baking soda, charcoal, machine washing and air drying, etc. They are so incredibly comfy, but I cannot abide the constant funk! And they are far too pricey to keep replacing every time a pair gets rank (which only take a few days). I have no problems like this with any other shoes. You all really need to work on this. I would love to buy more, but the incurable stench is a real dealbreaker. Sorry to hear you are having issues with odor! To get at the root of the problem – to take away an odor, you can either cover it up, remove the agent causing the odor, or deaden your reception to the smell. Usually the baking soda or activated charcoal solution is best to remove the odor-causing agents, as that absorbs and nullifies anything causing a smell. If sealing them in an airtight bag containing an odor-absorbing material is not enough to absorb the smell, you may want to try using a second or third treatment – activated charcoal really is the best odor-absorbing material, it’s what they use in industrial cleanups. Does your memory foam contain neoprene? No, there is no neoprene in our memory foam. Can you buy the insols for the sketchers? Unfortunately, we do not sell additional insoles at this time. Just purchased Bob sketchers & got a couple of mud stain splashes on them. Any tips on getting the stains out without putting them in a gentle cycle wash? Thanks! BOBS can also be hand washed using mild soap or diluted gentle-cycle laundry detergent, warm water and a soft cloth. Hi, I recently purchased a pair of sketcher go walk aspires to wear during my nursing clinicals. I purchased the white pair and the material fabric is soft but has the look of leather. My question is, should I wash these as if they were leather because they look like leather or could I simply place these in the washing machine? The material is soft and looks as if it could dirty easily. The description says the material is fabric with a leather textured upper. How should I go about cleaning these? Thanks Tim, I just purchased Gowalk Aspire with Leather-Tex fabric and was concerned with the care required. Being able to gently machine wash is a real bonus as we both know white shoes do get soiled. I normally where size 6 for my sandals and flip flops. I bought size 6 for this memory foam shoes. I was wondering if I should of got the 6.5 or stay at size 6. Thank you for your time! Looking forward to your response! Can I wear sketchers memory foam in rains? I see that people have asked if there is any latex in three memory foam and your reply is no. What is your memory foam made out of? I have a serve allergy to latex and ever time I wear my sketcher go walk 3 my feet heat up and I feel like I am walking or standing on a heating pad?? Any suggestions as to why that is happening? I love the softness due to I have heal pain but can’t tolerate the feeling of the bottom of my feet on fire. Skechers Memory Foam is made out of modified polyurethane/polyether polyol. It is latex free. Skechers GOwalk 3 does not have a Skechers Memory Foam insole. Instead, it has Skechers GOga mat technology which is made out of synthetic rubber/TPE/EVA. Also latex free. I have washed them on the gentle cycle then now it is being airdried. The black marks haven’t come out yet and it still stinks! Also, after I washed it, I found out it turned out smaller (I used hot water to wash). Do u have an idea to make it a bit bigger and more comfortable? Like maybe putting it in the freezer or putting paper to keep it stretched? I will really appreciate it. I can’t buy a new one or any other new shoe so please help me. I am in a big help. Shoes should always be washed in cold water, which is typically the default setting for gentle cycle. Since the shoes have already been washed in hot water, you may at this point want to get the shoe professionally cleaned and stretched, both of which are usually easy to do at a shoe repair shop. Thanks. But do u have an alternative? I can’t get it to a shoe repair shop either. Also, can it walk through rain? since where I’m going for holiday rains a lot. I will be walking a lot of the time. For now, I have kept papers in the shoe to keep it a bit stretched so hopefully at least a small change will show. Papers or some similar type of shoe form could help to stretch the shoe a bit, or a wooden shoe tree if available. Some customers have found they can stretch shoes out a bit by wearing them with two pair of thicker socks, then wearing the shoes barefoot or with a single pair of thinner socks once they stretch a bit. The shoes are not waterproof, I would recommend giving the uppers a treatment with Scotchguard or a similar waterproofing spray to make them water resistant. If your insoles get wet, make sure to let them air dry as much as possible (do not place insoles or shoes dryer). I have a pair of Relaxed Fit memory foam casual shoes. How do I clean these or can I put them into the washer.?? Thank you. Please please please let us buy the insoles separately. I would love to purchase some replacement insoles for my shoes and other shoes too 🙂 I love the memory foam. I’ve tried 6 different types of after market insoles, and nothing compares to yours. I have tons of pairs of VANS that I would like to put your insoles in. Is this a possibility in the future? I mean, you already make them. Just work out the cost and packaging to sell them separately. Come on now! You are a business right? I’d pay $20 a pair. I love the pink memory foam insoles, and I would love to be able to buy a pair of them to make my work supplied boots majorly more comfortable, can I buy them anywhere? Am I able to wash the go walk 2 and 3? I own four pair, and they smell horribly. They’re not cheap and I’ve only worn this year’s three or four times. I own four pairs of sketchers go walk, 2 and 3 with memory foam. They are the most comfortable shoes I have ever owned. HOWEVER, they smell so badly. Even my new ones this year, that I’ve worn about three times, and my feet are always clean when I wear them. Please help! how can I clean my memory foam shoes very comfy but after 1 weekend they stink!! Cleaning instructions in general – if a shoe has no leather or suede content like many Skechers Sport Memory Foam shoes, they should be machine washable – we recommend washing on the gentle cycle cold, placing both shoes in a laundry bag or pillowcase and air dry only. If the shoes have leather or suede in the uppers, or if you do not wish to machine wash, I recommend using a leather or suede cleaning product to clean those materials, and non-leather shoes can be hand washed using mild soap, warm water and a soft cloth. Hope these will help, Lisa! Hi, I have Sketchers Go Walk 3. Have owned them for almost a year & practically live in them. I notice that s lot of ppl are saying theirs smell/stink badly. Mine never do. I always wear little sockets that I bought with them & even during the last trimester if my pregnancy (6 months ago) when my feet would swell & sweat my Go Walk 3 wouldn’t smell. My feet would for a bit after I took the shows off but my shoes wouldn’t. The trick is to ALWAYS wear socks with them & preferably the little ones designed for Sketchers. Can you replace the memory foam insoles? I have an allergy to certain adhesives, and I get a rash on my feet whenever I wear these shoes without socks. Can you tell me what kind of glue/adhesives you use? Please email us at socialmedia@skechers.com so we can put you in touch with our customer service team who can assist with your request. Thank you! I own three pair of sketchers shoes. I want to buy the inserts. Is that possible? Hi Frank, unfortunately, we do not sell insoles separately at this time. Our shoes fit any standard insoles you can find at your local merchants, such as sporting goods or retail stores that carry shoe accessories. I also have a problem with my Sketchers – not even 6 months old – that have a stink in the memory foam insole. I wash them frequently and allow to air dry before wearing again – still after 1 or 2 wears – I am back to the stink. I have put dryer sheets in them – which does reduce the smell while they sit in the closet but as soon as I put them on and take off at end of day – back to the smell. What is going on and how do I get the memory foam insole to stop smelling? Hi Dee, sorry to hear you are having issues with odor! Have you tried using baking soda or activated charcoal solution to remove the odor-causing agents? Machine washing with odor-absorbing detergents, combined with an odor absorbing treatment when air-drying may also work. When air-drying, usually wait 10-12 hours to make sure the memory foam is completely dry. I came along to complain about the smell of my sketchers Go Walk 3. I have never had smelly feet, ever. Even after washing these shoes,including with Dettol Laundry additive, which is supposed to kill smells, they still smell. Sprays and antibacterial wipes don’t work either. I can t wear them anymore because other people around me can smell them. I am horribly disappointed and really regret buying them. I only bought them in June. Does anybody know of anything I can do to refresh them. I have a pair of Skeecher Relaxed Fit Memory Foam Sandals and I love them but when I walk they squish. How do I get them to stop squishing? It’s driving me nuts! Is there a particular reason the Skechers Go Walk shoes I bought two weeks ago and have worn three times smell so terribly offensive? I just finished reading multiple blogs, including this one, so it seems it’s not a me problem but rather a Skechers problem. Are consumer expected to wash these shoes after each wash to avoid the stench? These shoes cost way too much to have this issue. I have washed mine and air dried. (They are only couple months old) and within 30 mins of wearing the smell has returned. I’m really sad as they are so comfy and really help my plantar fasicilitis. Hi Fiona, so sorry to hear about your shoes! You can check out some of our tips from our blog here: https://blog.skechers.com/2011/02/05/shoe-cleaning-and-care-tips-from-the-skechers-shoe-guy/ or email socialmedia@skechers.com to speak to customer service! I have a pain in heels. which skechers shoes are best for me? Goga Mat, Memory Foam or any other? We would recommend the Skechers GOwalk 4, the Burst and the Flex Appeal lines for cushioned comfort and arch support. D’Lites are good too for heel cushioning, and Skech-Airs. My memory foam Skechers sandals have really stretched out since buying them. Will washing them in the washing machine out then back in the original shape? Hi Jan, most non-leather casual shoes can be safely machine washed on the gentle cycle and air-dried. Washing them (on the gentle cycle, and air dry only) to revive them, it has worked for some customers. Where can I get replacement memory foam inserts? Hi, Carlos. We’re sorry for the inconvenience, however, we do not sell or stock replacement insoles at this time. Our shoes fit any standard insoles you can find at your local merchants, such as sporting goods or retail stores, that carry shoe accessories. Hi! How do i clean my skechers walking shoes? Hi Louise, most non-leather casual shoes can be safely machine washed on the gentle cycle and air-dried. Do not place shoes in dryer. Air dry shoes for 10 to 12 hours to ensure the insoles are fully dry. I love these shoes! The second I get them home, I spray them with shoe deodorant to prevent any kind of odors and that certainly helps! I used my first pair during a trip to Paris in a heatwave and we walked all over town every day and when I came home it didn’t smell bad at all! Anyway, I bought another pair this last Spring and they’ve gotten visibly dirty. So, what I want to ask is, can I wash them? Yes, most non-leather casual shoes can be safely machine washed on the gentle cycle and air-dried. Do not place shoes in the dryer. Air-dry for 10 to 12 hours to ensure insoles are fully dried. Hi. Love my skechers but the inner soul has worn through on the ball of right foot only. The rest of the shoe shows little wear. Can the inner souls be replaced? Only 6 months old. Hi, Robyn. The insoles can be replaced with any standard insoles you can find at your local merchants, such as sporting goods or retail stores, that carry shoe accessories. Sketchers are all I buy now. Am I able to buy insole replacements..
Generic and other brand insoles just don’t work the same. I have osteoarthritis in my knees and the memory foam is the most comfortable for me. Hi, Maureen. Unfortunately, we do not sell insoles separately at this time. We will certainly pass this request along to our product team. Hi! Just got a pair of fab Skecher Sweetpea shoes and they fit fine length wise – but they are tight across the top and scooped edges are digging in to the base of my toes. Is there a way of softening them up so this doesn’t happen?? Thanks! Hi Liz, it might help to try wearing a thick pair of socks with them to help stretch them out a little bit. Hope that helps! Hi Kate, We’re sorry to hear that your dog chewed up your insoles! Unfortunately, we do not sell insoles separately at this time. Our shoes fit any standard insoles you can find at your local merchants, such as sporting goods or retail stores, that carry shoe accessories. My husband has a pair of skechers air-cooled memory foam shoes, SN 52101, that he wore working outside and got them rather muddy. From what I’m reading most can be washed. Would just like to verify that this model can be washed in a machine and if there are any tricks to getting them clean. Do the Skechers go walk 4 stretch out overtime as you wear them? Can the memory foam insole be washed in the machine with the shoes? Hi Dee. Yes, the insoles can be machine washed cold on the gentle cycle and then air-dried. I have a pair of men’s sketchers (I’m female), I have big wide feet and they are really comfortable and fit perfect (I have foot problems and nothing else is comfortable) I want to start running again and can’t find out if Sketchers do a running shoe specifically with a memory foam insole, is there such a shoe? Hi Vic! We would recommend the Skechers GOwalk 4, the Burst and the Flex Appeal lines for cushioned comfort and arch support. D’Lites are good too for heel cushioning, and Skech-Airs. Hope this helps! I have leather upper skechers, how should I clean the inside. The non leathers I have washed with great success. Please assist. Hi I would like to know how and where I can get the insole replacements? For some reasons the insoles are worn with holes by the balls of the feet (big toe and last toe especially), but the shoes are still in good condition. Please let me know any information. Thank you! Hi Ferlicia, I’m sorry to hear about your insoles. Unfortunately we do not sell insole replacements at this time. As you can see many of us want to purchase more memory foam insoles. Why you are not selling them separately is beyond me. I will not buy any more sketchers if I can not replace the insoles. If you are afraid people will keep their shoes longer and not buy new shoes I can say from my experience that because I love them so much and wear them all the time I have a minimum of three pairs going. I have never done that with any other shoes. I will not buy another pair if I can not purchase insoles from you separately. Hi Penny, I’m sorry about your insoles. We will certainly pass this request along to our product team. The heel on one of my insoles has disintegrated and they have barely been worn. The material lifted at the back and the foam sole fell apart. Can I get a replacement for this shoe anywhere? Hello Alison, can you please email us at socialmedia@skechers.com so we can put you in touch with our customer service team? Thank you! The best and most comfortable shoes I have ever worn. I washed them regularly because I liked the way they always looked new. Then one day out of the blue, they got a funky odour . Tried everything and nothing worked. Then I had to throw them out (sniff) . Would love another pair (or three), because of the comfort but leary about buying another pair because of this. i have to started looking at other brands. Any suggestions? Hi Debbie, happy you’re liking the comfort of you shoes :). I’m sorry to hear about that, have you tried any of our cleaning techniques: https://blog.skechers.com/2011/02/05/shoe-cleaning-and-care-tips-from-the-skechers-shoe-guy/. Hope these help! hi, my favorite is the GoWalk3. I just ordered another pair to replace the current two pair of stink-pots. My question is this: which Skechers shoes are like the GoWalk3 but have a removable (replaceable) memory foam insole? thanks!! LOVE my Skechers. Love them. Have seven pairs. But my new Savvy Dressed Ups are very tight across the top – is there a way of stretching them? Have a pair and the insoles are gone in less then 2 months. Do you have replacements? Hi Mike! Unfortunately we do not sell replacement insoles at this time! My dog ate one of these. Are they poisonous to dogs? My dog just ate one of these. Are they poisonous? Hi Jen, our shoes aren’t made with toxic materials but I would recommend seeing you vet and checking in with them about this !! Hope everything is okay. Have four pairs. They all developed the strong smelly odor that so many others have told you about. Nothing will get rid of it. Your helpful tips page does not help. Sketchers needs to address this as it appears to be a product defect of some sort. Do you wear socks with socks with the gel top dual density memory foam shoes? I heard that you’re not supossed to but i want to find out the truth about it. Hi Beth! Most customers find that wearing a lightweight sock or no-show sock is best with the Gel insoles. Some are fine wearing barefoot as well. The Air Cooled are ideal for barefoot wear. Hi Karen, depending on how new they are they may just need to be broken in! Perhaps wearing thicker socks for a while etc. 🙂 hopefully it won’t happen once they are worn in! Also feel free to contact customer service at socialmedia@skechers.com with any further questions or concerns! Hi, I really want the flex appeals, but I really can’t do memory foam. Is the the memory foam insole removable at all? Hi. I have this skechers memory foam sneakers. I have a trip coming up and I know that these are made for long walks, but is it okay for light hiking? Not forest, just a hill beside the ocean. Will my memory foam handle it? The person at the store said that I cannot run 10km in it as it will spoil the foam. Is light slow hiking okay? Hi Izza! Hiking and walking in Memory Foam shoes should be just fine. I have two pairs of memory foam Skechers and they are so comfortable but the smell is ridiculous! I purchased the second pair because I couldn’t get rid of the smell from the first pair and I hoped that this year the problem (whatever it is) might be rectified. That is not the case in fact I feel like these started to smell immediately. This is very disappointing cause I don’t think that I’ll be testing that theory again and I love the comfort. Heya, my boyfriends dog got into my shoe and destroyed the insole on one of the brand new shoes I got. Do you know when replacement insoles are going to be available? I have 2 pairs of the Elite’s. I have no problem with the shoes themselves. But I am in need of new insoles for both pairs. When are you going to sell replacements? Hi kristin, unfortunately it is not yet known if we will be selling insoles any time in the near future. I bought a pair of WORK RELAXED FIT: SOFT STRIDE – CANOPY COMP TOE and after wearing it twice the insoles looks like it has been used for year. The back part was coming apart. Can I get a free replacement? Looks like a defective batch. Bought the shoes in Singapore. How long should the memory foam (in days or Km) be good for? Hi Celeste! Standard Memory Foam lasts a year or more at least, it may get compressed after a few months wear but should still be supportive and comfortable. Gel or Air MF last even longer, at least a year and a half. I love the sketchers memory foam shoes but I do not love the air cushioned memory foam . It has become increasingly more difficult for me to find the memory foam Skechers and I live in Dayton Ohio . Please send me a list of the places or online places I can find memory foam Skechers . Thank you ! I noticed a lot of people leaving comments about wanting/needing memory foam insole replacement. My husband is on his feet for 9 hours a day everyday walking on concrete and his insoles wear out after about a month and we were wondering if we could get just the insoles as well. Considering how many people are asking about this you would think that Sketchers would come out with these! PLEASE PLEASE PLEASE consider this as my husband has plantar fasciitis in BOTH feet and these insoles are the ONLY thing that help!!!! Which Skechers sold today have removable insoles? I love my current pair of Go Walk 3 shoes because I can remove the insoles and insert my prescription orthotic insoles which I wear because of severe arthritis in my feet. These shoes are so comfortable! I am having so much trouble finding a replacement pair. Help will be appreciated. Can I wash my sketch-air cooled memory foam in the washing machine? The color of my shoes is PLUM. I want to get back the comfortable of the memory foam. Hi Jay! Unfortunately we do not currently sell replacement insoles. Usually Standard Memory Foam lasts a year or more at least, it may get compressed after a few months wear but should still be supportive and comfortable. Please email customer service at socialmedia@skechers.com if you have more questions or concerns 🙂 So happy you love your SKECHERS! Hi Basem, if you mean the replacement insoles we do not currently sell them anywhere at this time. Hi, my husband has got a pair of sketchers shoes for work, he works 12 hour shifts and the insoles for his shoes are worn away which is making it uncomfortable to wear, though the shoe is still in very good condition. Do you stock memory foam insoles? He is a size 12. Hi Jackie, unfortunately we do not currently sell replacement insoles. Do your Bob’s shoes with memory foam have arch support & fit like regular sketchers? Hi Linda, all of our memory foam shoes should be comfortable for walking and arch support etc. but for ultimate arch support I would recommend the Skechers GOwalk 4, and the Burst / the Flex Appeal lines. D’Lites are good too for heel cushioning, and Skech-Airs. I love Sketchers….however I have a pair of ladies slip on tennis shoes and my puppy has destroyed the insoles, please can I buy replacement memory foam? Thank you! Hi Charlotte, we do not currently sell replacement insoles at this time. Hi Cisco! No, the Memory Foam footbeds do not contain any latex. Thanks for your interest! What about the soles of the sneakers? The outside of the sole are they made of natural rubber latex? Or die sort of polymer plastic or silicone? Hi Loretta! There is no latex on the soles either, it is Polyurethane material. Hope that helps! Hi Deb! No, the Memory Foam footbeds do not contain any latex. Thanks for your interest! Hi, I know many people have asked about the natural rubber latex, my son is allergic and I want to make sure your shoes are free of natural rubber latex. Not just memory foam but the “rubber sole”. Curious if it also latex free and made from synthetic ruber. Hi Loretta! No, the Memory Foam footbeds do not contain any latex, and they contain no rubber. Thanks for your interest! Hi. Are all of your shoes and sandals made with memory foam? I’m allergic to memory foam and am having a hard time finding comfortable sandals without it. Hi Kim, many of our shoes are indeed made with memory foam. If you go online and click on a shoe there is an area below it that states what the shoes construction is 🙂 i.e. “Air Cooled Memory Foam cushioned comfort insole” Hope this helps! Hi, I bought my 8 year old daughter a pair of slip on memory foam sketchers after months of her asking for a pair. She absolutely loves them (she wears women’s size 8) but after 3 weeks one of the insoles has wrinkled up under the toe/upper foot area and she refuses to wear them because of the wrinkled up memory foam. Do you have any ideas how to replace the foam? Hi Amy! Sorry to hear that! Have you tried taking out the insoles and trying to re-shape a little and re-insert? Unfortunately we do not currently sell replacement insoles, but you can find them at many shoe department stores 🙂 Have a great week! It seems to me the sketchers could make a good profit if they sold memory foam replacement/inserts ..I understand you might more money if we replaced the shoes instead of the insole but then again the insole should last the life time of the shoe. We would also like to put them in shoes that don’t come with the memory foam. Please make your customer happy by selling replacement insoles/inserts we have been asking for more than 2 years that plenty of time to R and D them into a sellable product. Nobody make them like Sketchers does!!!!! Hi Laura, thanks for taking the time for these comments! We appreciate your insight and will be sure to pass this along. Have a great week! I contacted Skechers three weeks ago related this issue, I got an automated reply from info@skechers.com saying that they will review the issue, I have not heard about this since then. customer service could be better, I would not recommend getting memory foam shoes from Skechers, please see my detailed issue below. I just bought a pair of shoes at a local Skechers outlet store (Allen Premium outlets), those are the Porter Meteno. This happened 2 weeks ago, I have been wearing those shoes for 8 days approx., not daily, and for less than 8 hours on each day. I’m wearing wool socks all time (Smartwool and Feetures) , socks are also brand new. the issue I have with the shoes is that they started to smell since the third time I wore them, this is so strange to me, I got a pair of Go Flex at the same time which I have used pretty much the same time, with this pair I do not see this problem appear, GoFlex smell good like new. I would like to return these shoes, but since I have already wore them it will not be accepted at the store. This had happened before to me on other Skechers with memory foam. Looking over internet this seems to be an issue with memory foam Skechers, that’s a shame, they are so comfortable. Could you please help me with this? Is there a way I can return these shoes and how will be the process to do so? Hi there! So sorry to hear this, I’m contacting our customer service about this now! Thanks for your comments! Also, please try to email socialmedia@skechers.com, as that is the one we can check on that is not through the website 🙂 Thanks! Can the inner soles on Equalizers 2.0 be removed? As i wear orthotics the memory foam creates a problem. Can the inner sole be removed without damaging the shoe? Is there any Bobs shoes without memory foam? I love Bobs shoes but the memory foam makes my feet sweat (and smell) a lot and it absorbs the sweat… I have tried a lot of different things such as washing, odor removing products, and baking soda but nothing helps. The odor is bad, even after being washed and they are always moist after wearing even just for an hour. Is there anything that can be done about this? Thanks. Hi there! Majority of our BOBS shoes contain memory foam, however there are a select few that do not. I would recommend browsing the styles online and if you click on a shoe, there is a description of the “construction” at the bottom. There it will tell you what exactly the shoe contains 🙂 I would also recommend removing the insole and washing separately, and drying separately as well! Hope that helps! Bought a pair of memory foam work shoes and the insoles are shot after 5 months, 3-4 days per week, part time. The insole is removable. Does Skechers have a replacement insole for them? Hi there! Unfortunately, we do not sell or stock replacement insoles at this time. Our shoes fit any standard insoles you can find at your local merchants, such as sporting goods or retail stores that carry shoe accessories. Sorry for any inconvenience! I think you are losing a potentially huge market. Your shoes are quality made and are built to last. The memory foam insoles suffer from smell and eventually fatigue long before the shoes wear out. To not sell the insoles as separate items and advise people to purchase a new shoe seems very short sighted. You have a good product why not market it. I now have a great pair of sketchers with tired worn out insoles and are having to look at vastly inferior products to replace the insoles. . I want to buy more pairs of sketchers as they help brilliantly with my worn out knee. However the replacement insoles will remain a problem. Hi Bob, thank you for reaching out to us about this. We will definitely pass your suggestion along. In the meantime, our shoes fit any standard insoles you can find at your local merchants! Hi Karen! Unfortunately, we do not sell or stock replacement insoles at this time. Our shoes fit any standard insoles you can find at your local merchants, such as sporting goods or retail stores that carry shoe accessories. Sorry for any inconvenience! Please, please, please consider selling replacement insoles. Your insoles are way more comfortable than those from a sporting goods store. You could really make a dent in the market since your insoles are so much better. I have a pair of Skechers right now that are in great shape, but the insoles were super stinky. I found a way to clean them and get the smell out but in the process the fabric and felt are coming apart. I love these shoes and can’t find a good replacement for them. Help!! Where can I find new skechers insoles? Hi Peggy! Unfortunately, we do not sell or stock replacement insoles at this time. Our shoes fit any standard insoles you can find at your local merchants, such as sporting goods or retail stores that carry shoe accessories. Sorry for any inconvenience! Hi,I had bought the skechers gorun shoes,but unfortunately the insole has completely worn out , can i buy a new pair of insoles for my shoes,do you have it in stores? This may be a dumb question, but are memory foam sneakers supposed to be worn without socks? The shoes seem a little tighter than my normal shoes in the same size. So I can’t tell if these shoes may just run small for me, or if they’re sized to be worn without socks. The shoes I bought are skechers flex air cooled memory foam 22882. I purchased 2 pairs of Skechers (Gowalk2 and Goga mat). They were ther most comfortable shows I owned. However, it was short lived, no matter what I did to control the odor after a few hours of wearing them nothing worked. I had to toss them they smelled so bad. Hi Sarah! Both activated charcoal and baking soda should help any odor problems you are experiencing with your shoes! I have had three pairs of sketchers now all with memory foam insoles, While they were very comfortable I have only been able to get about 3 to 4 months out of them till the insoles fall apart or get holes in them. The rest of the shoes are in very good condition, but they a junk because the insoles are no longer usable. I am extremely disappointed, since I usually get a year out of the new balance that I have worn in the past. The last pair (50125EW) still has a sticker on the bottom in the arch area so it is obvious they were not wore out. For what these shoes cost & the quality of the rest of the shoe this is unacceptable. Hi Gerald. Thank you for your comments, please email customer service at socialmedia@skechers.com so that they can assist you! Have a great rest of your week! I agree- the insoles just shred. Its a joke. I’ve been trying to find where I can buy replacement insoles- but I cant. Why not? Hi Michael! Unfortunately, we do not sell or stock replacement insoles at this time. We completely understand your frustration. If you would like to replace your insoles, our shoes fit any standard insoles you can find at your local sporting goods store. Thank you for reaching out to us! Thousands of your customers are complaining about smelly insoles. Thousands of your customers are also requesting for replacement insoles. It has been years & there is no action taken from your end. It seems like you do not respect your customers at all. The least you could do is provide replacement insoles. You manufacture them anyways…. & your customers will pay for them. So I don’t understand what is the issue. If you continue to treat your customers in this manner, they will move over to other brands. And there are tons of good companies out there who respect & listen to their customers. If you wish I could name a few for you…. Hi there! We completely understand your frustration, but at this time, Skechers does not sell or stock replacement insoles. We will definitely pass your message along to the appropriate team here at Skechers. We value all of our customers’ opinions so please let us know if there is anything else we can help you with! Thanks for reaching out to us! Hello, I have had Memory Foam Relaxed Fit Skechers for a few years and like them very much. I bought a pair of Porter Meteno (64935/DKBR) and although they are Classic Fit, I like them a lot since the first try on the store. However, I have discomfort on the right foot only, under the toes. It’s not exactly pain. I get the feeling they are “spongy”. Everything alright with the left shoe. I know I can exchange in store my shoes, but how long do you believe I should try to see if the shoes “break”? Hello, I have had Memory Foam Relaxed Fit Skechers for a few years and like them very much. I bought a pair of Porter Meteno (64935/DKBR) and although they are Classic Fit, I like them a lot since the first try on the store. However, I have discomfort on the right foot only, under the toes. It’s not exactly pain. I get the feeling they are “spongy” and I noticed they ge sweaty only on that area. Do you believe that there might be a problem only on that shoe? This model is Air Cooled, although I never had any issues with hot or sweary feet with previous Skechers without this feature. I’ve been wearing Skechers since the 1990’s, and they’ve always had a stink to them after a few months. Just sayin’. I’ve owned probably a dozen different brands of shoes, and Skechers are the only brand that has that problem. I stopped wearing them for several years because of it, but they’re just so darn comfortable, I keep coming back. I just bought my first pair of Bob’s a month or so ago, and I love them. They’re ridiculously comfortable, and hug my foot like a glove. I do wear them barefoot nearly every day, so they’re starting to develop an odor. I guess whenever it starts to really bother me, I’ll hand wash them or sprinkle some baking soda in them. I did a couple of weeks ago spray the insides really well with Febreze and leaned the shoes up against a box fan to dry. That worked pretty well, actually. I think it’s important to air them out after each wearing. Loosen your laces a bit and pull the tongue up and toward the toe so air can circulate inside your shoes/boots when you’re not wearing them. I hope my super long comment helps someone out there! Try scrubbing them with a few drops of diluted eucalyptus oil and tea tree oil and then leave them in the sun to dry. They are like brand new. Hi, I have the skechers memory foam sandals and they are by far my favorite shoes, I am discovering though that the straps to my shoes are becoming strecthed out. Is there a way to remedy this issue? I love these shoes amd wear them on a daily basis but it is getting to the point where it could fall off of my foot when the fit perfectly a few months ago. Hi there Leah! Unfortunately we do not sell replacement insoles but our shoes fit any standard insoles you could find at retail stores 🙂 sorry to hear that and we hope you have a great weekend! How do I wash my Bobs? Hi, my Westie Puppy has just chewed the memory foam from the heel of my new sketchers. Just bought UES Happy Step insoles from amazon. They have worked a treat, didn’t even need to take out the remaining foam. You cut them to size, but be careful as the measurements are inaccurate. I am size 7 male, just put them in as they came, fitted great. Sketchers as good as new. Hi I have a latex allergy and I’m having a hard time finding shoes without it. Are your sketchers latext free.? Especially your nursing shoes. I have a new pair I recently got wet.. since then they have a god awful stink to them.. cant get it out..
Hi Jeff! Have you tried rewashing with soap and water and then air drying? My daughter’s dog has chewed up the memory insert from my tennis shoes is there any way to buy replacements? 1. What is the closest new model to LOAFERS “MELVIN”? 2. Two -three years ago Sketchers somehow changed memory foam soles: the old – grey ones – were much firmer then new -yellow- inserts. This changed everything – new shows are no longer that comfy, they even irritate foot. It feels fine in the store, but when you wear them it hurts. I have 6 pairs of Sketchers, I practically live in them. However, all recent purchases require change of insert to the old type: I simply cannot wear new style inserts, I have to replace them with old style. I’m not alone – I heard this complaint from several friends of mine. Can I purchase old style memory foam inserts? NO PROBLEM WITH ODOR. WHEN I GOT MY SKECHERS, GOWALK3, I STUMBLED REAL BAD (AND STILL DO) ON TILE FLOORS. THEY ARE THE ONES WITH THE 11 BLACK BUTTONS ON THE BOTTOM. ANYHOW, I MADE HOUSE SLIPPERS OUT OF THEM. if i put insoles over the memory foam- that will work? I know these shoes can stretch, but if you wash them will they return to their normal size?! I bought a pair online and when they came one shoe had a display plastic foot it in. That shoe is stretched to nearly a half size larger than the other. I’d really really rather not have to return them (have a trip in two weeks!). If I wash them in the machine is there any chance they’ll pop back to their original size??? i loved the memory foam but now it’s shifted so that the end of my heel is hitting against no-foam (the foam shifted forward about 1/2 inch); it’s causing me heel problems; pls advise- what do i do? Hi Liz 🙂 I would recommend removing and trying to reinsert the memory foam insole to make it fit again. If this doesn’t work, you may need a replacement insole. We don’t currently sell replacements but our shoes fit any standard insole found in stores 🙂 Please feel free to email customer service at socialmedia@skechers.com for further questions! My son has memory foam skechers sneakers. Shoes are in great shape – soles are destroyed. There are several holes in them. How can I get replacement insoles? These shoes were very costly and they are only months old. How can I order walk ins? Hi I like air cool memory foam shoe from sketchers.But is their any water slip resistant in air cooled memory foam type?? After what mileage should I replace my Skechers Memory Foam running shoes? According to most customer reviews, running shoes are best replaced after a year of sustained regular use, though this can vary according to the mileage, conditions, etc. Are all Skechers shoes (sandals, trainer, flip flops) latex free….not just the memory foam inserts but the entire shoe? Hi Claire, Thank you for reaching out! We would suggest the On the GO 600 sandals since they are made with polyurethane. 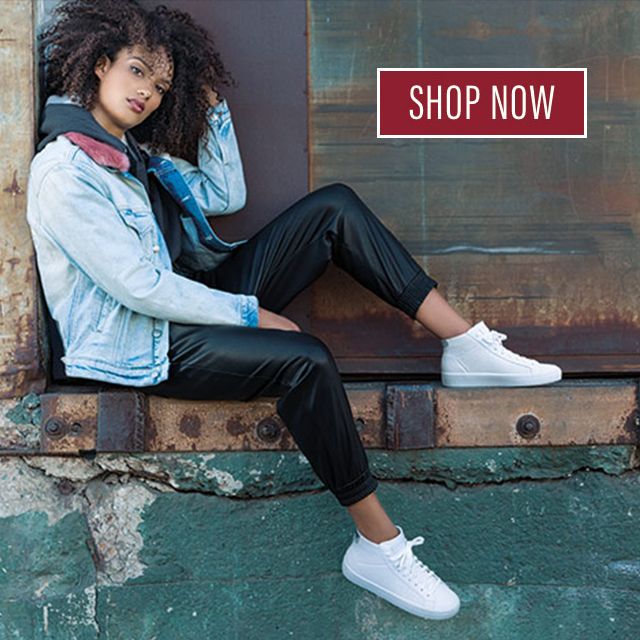 You may shop this style online at the link: https://www.skechers.com/en-us/women/styles/shoes/sandals?category=%2Fshoes%2Fsandals&brand=%2Fskechers-performance&genders=W. Hope this helps! Hi Stella, Thank you for reaching out! Do you have a specific style name or number so we may better assist you? Can i buy replacement memory foam insoles? i do not want any standard insoles!! Hi Nina, Thank you for reaching out! We’re sorry for the inconvenience; however, we do not sell or stock replacement insoles at this time. You can find shoe insoles at your local merchants, such as retail stores that carry shoe accessories. I have a pair of Dual Lite Sketchers but they give me horrible blisters and i think part of that is from the insoles(Im walking on the seam edge often without noticing) are they removable? Hi Sam, Sorry to hear about this situation. Please email detailed information to socialmedia@skechers.com so we can connect you with a customer service specialist who may further assist you. Thanks! I wish there was an easy way to remove the insoles! I use orthotics, which don’t fit well over the memory foam. Unfortunately for me, the insoles are very well glued and very difficult to remove in some cases! Why not offer the option of no memory foam? I’m pretty sure I’m not the only one with this issue? Hi Marty, Thank you for reaching out! Sorry to hear about this situation. You may want to try a tiny bit of a product called GOO Gone which is an adhesive remover, this may help in the process of removing the glue on the insole. We’ll be sure to pass along your feedback for non memory foam styles to the appropriate team. I have a purchase a pair of Skechers Womens Breathe Easy Leisure Walking Shoe in Navy and get a rash on top of my foot. They do not irritate when I wear them but noticed that I am ending up with a rash on the end of opposite of the toe on top. This rash has been quite irritating and itch and I wanted to find out what material is used there. Hi Deanna, Sorry to hear about this situation. In the event you’re unable to return the item to the place of purchase, please email detailed information to customersocial@skechers.com so that we can connect you with a customer service specialist who may further assist you. Thanks! Due to a latex allergy I would like to know if there is any natural rubber or glues in sketchers soles, shoes. I understand that the inserts do not contain latex. Hi Kathleen, Thank you for reaching out! Do you have a specific style number so we may further assist you with details? I was looking at the details in style Kiss Ruffled 44691 blk. In the description it mentions a rubber sole. Are the soles actually natural rubber? (which contains latex) Is there are glue in this shoe? Hi Kathleen, Style 44691 Kiss – Ruffled has water based adhesives only. Small amount of rubber on the outsole, just the two oval pads. All else is microfiber fabric, poly fabric, Memory Foam insole and PU midsole. Hope this information helps. Can the insoles be removed so I can use my orthotics? Hi Michael, Thank you for reaching out! You may want to try a tiny bit of a product called GOO Gone which is an adhesive remover, this may help in the process of removing the glue on the insole. I bought a pair of Bob’s the ones that look like converse. The memory foam is falling apart in them. I am very disappointed as the outside of the shoe if fine but it is not causing me to get blisters from the big holes of foam missing. I’ve had this issue with other shoes but the were alot older. These are only about 6 months old. Hi Melissa, Sorry to hear about this situation. Please email detailed information to customersocial@skechers.com so we can connect you with a customer service specialist who may further review this matter. Thanks! Are your Polyurethane foam soles talc free? Or is the chemical mix filled out with talc? I have been a victim of hydrolysis too many times to buy another pair that just falls apart. I’m begging for the truth here. Hi Josh, Thank you for reaching out! The Memory Foam is visco elastic urethane foam with fabric cover. Hope this information helps!